This Travel Light Packable Backpack 25L is the perfect lightweight daypack for all day use, ideal for trips to the market or just as an everyday bag for those looking for a bit more space. It is also well suited for carry–on luggage and has numerous storage options for the demanding traveller. 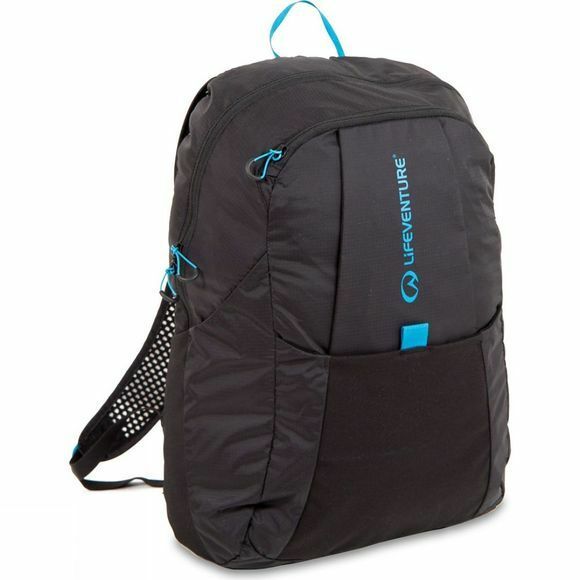 The pack fits neatly into its own integral zipped pocket. The ripstop fabric is both lightweight and durable with a PU coating to prevent your items getting wet during a short shower or light drizzle. 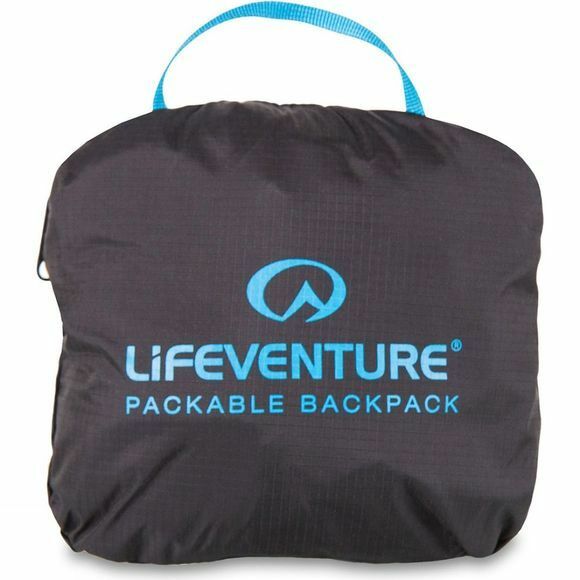 The Lifeventure pack has two zipped pockets and one large 25 litre two–way zipped compartment. Two part–mesh side pockets provide easy access for a bottle or items that you need to access quickly. The front of the pack has a large stretch mesh pocket and sleeve for stowing items, such as jackets and jumpers. The adjustable shoulder straps are made from a 3D Air Mesh making them both breathable and comfortable for prolonged use.